Born in Norman Oklahoma, Norman continues his "Sooner" spirit as a physicist by exploring uncharted territories at the interface between AMO physics, condensed matter, and quantum information science. I am a postdoc working on nanoscale ultra-senstive magnetometry based on NV centers in diamond. I received my doctoral degree in physics from Tsinghua University in 2016, where I worked on experimental quantum information processing with entangled photons and NV centers in diamond. I am interested in quantum dynamics, in particular its classical simulation and characterization of quantum thermalization and chaos. Before coming to Berkeley, I did my Ph.D. on soft matter/statistical mechanics at Université de Paris Sud in France. 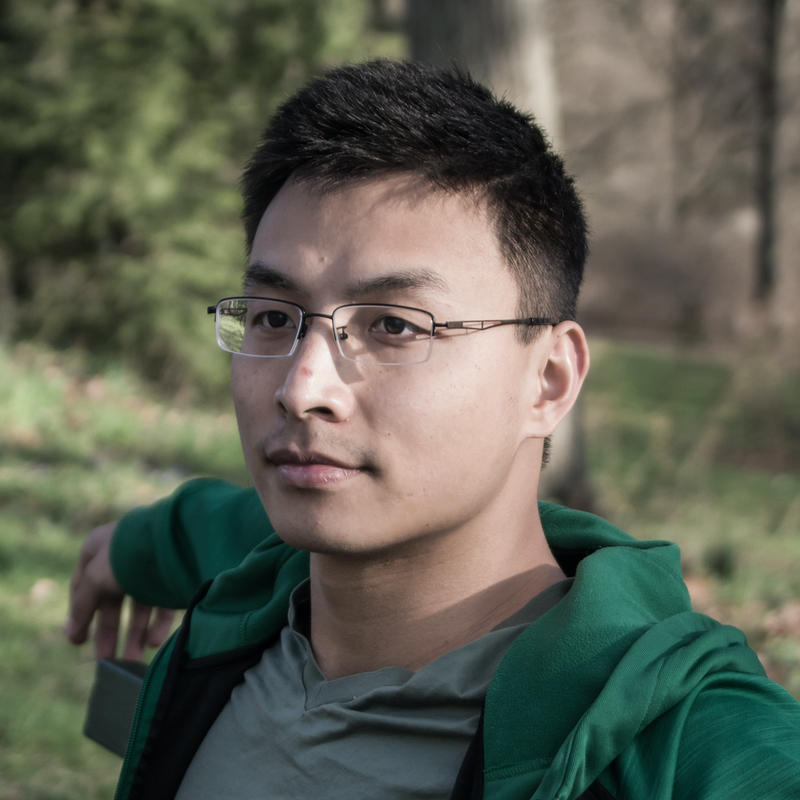 Quntao is a theorist broadly interested in quantum information, quantum optics and condensed matter. He is currently mainly working on scrambling in quantum optics related systems. In the past, he worked on quantum enhanced sensing, quantum cryptography and quantum Shannon theory. He received his Ph.D. from MIT and B.S. from Peking University. I am interested in out-of-equilibrium quantum dynamics and applications of reinforcement learning to nonequilibrium systems. I did my PhD at Boston University studying periodically-driven systems. My research interests lie at the interface of quantum many-body dynamics and information science. Combining tools from theory, numerical methods and experiments, I am interested in out-of-equilibrium quantum dynamics and their potential applications. I earned my B.S. in electrical engineering from Washington University in St. Louis, where I worked on superconducting quantum circuits. Since 2016, I have worked in the Yao lab to integrate nitrogen-vacancy centers as atomic sensors in high pressure systems. In addition to improvising in the lab, I also improvise music as a guitarist in Myra Melford’s Nu Jazz Collective and the UC Jazz ensembles. I am a theorist mainly interested in quantum dynamics and phases of matter. In particular, I am interested in heating and what interesting physics can arise in Floquet quantum systems. Originally from the wonderful city of Coimbra, Portugal, I got my B.Sc in Physics at MIT after which I decided to return to warmer climates for my PhD. Fired in the great Neo-Yorkian kilns, this specimen exhibits a peculiar luster and versatility matched by the eclectic physics at the cusp of AMO and Condensed Matter. Chris grew up in northern Virginia and obtained bachelor's degrees in physics and math from the University of Virginia. He is interested in pretty much any aspect of theoretical condensed matter or AMO physics as long as the math involved is cool enough. I am interested in developing new platforms for studying many-body physics, with an emphasis on the interplay between theory, numerics, and experiment. My recent work has focused on 1) understanding the dynamics and ground-state behavior of NV centers in diamond, and 2) numerically probing quantum scrambling in chaotic systems. A SoCal native, I completed my bachelor's degree at Cornell University and worked for a year at the Institute of Photonic Sciences in Barcelona, before returning to my home state in 2016. Greg is interested in how we can use computers to do quantum physics and how we can use quantum physics to do computers. He grew up in Vermont, and enjoys mountain biking, hockey, Ultimate, and cryptography. Kamphol grew up in Bangkok, Thailand, and received his undergraduate degree in physics from MIT. 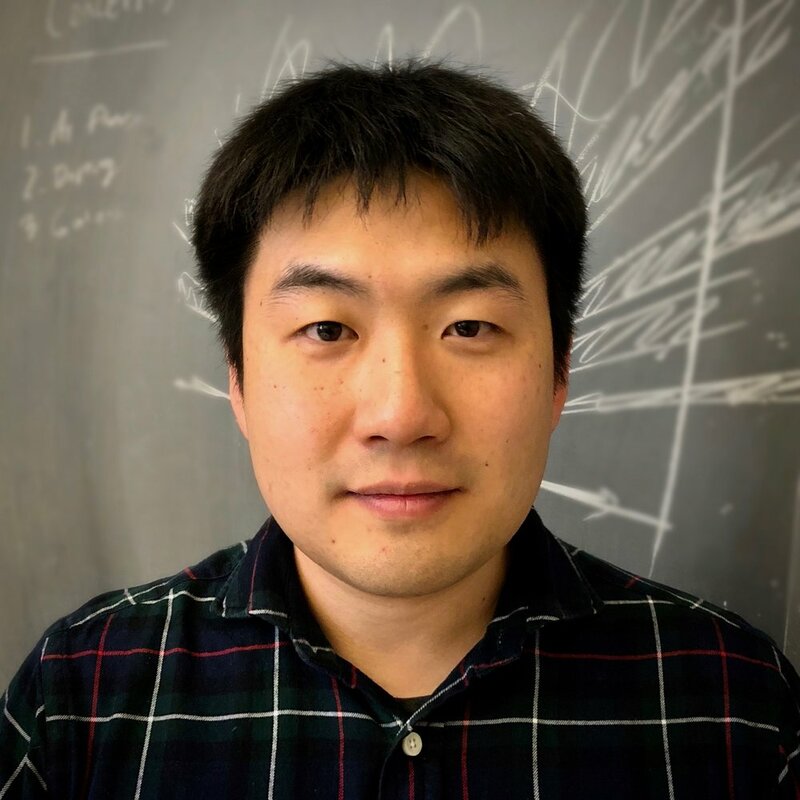 His recent interests focus on using numerical techniques to study topological quantum phase transitions in disordered systems and on exploring the use of magnetic impurities in superconductors as a platform for quantum simulation. Tommy is interested broadly in condensed matter, AMO, and quantum information theory. Past and current projects have focused on realizing topological phenomena in photonic and ultracold molecule experiments, predicting new topological phases in Floquet-Bloch systems, and detecting information scrambling in quantum systems. A Bay Area native, Tommy received his B.S. in Engineering Physics from UC Berkeley, after which he spent one year as a Visiting Researcher at Boston University before deciding to return to Berkeley for graduate school. Bingtian grew up in Nanjing, China, and got his bachelor degree in physics at Peking University. His recent interest is using both analytical and numerical techniques to study non-equilibrium phenomenon, including Floquet physics, emergence of hydrodynamics and spin diffusion. Tim is a Visiting Student Researcher from Immanuel Bloch‘s group in Munich, Germany. He received his B.Sc. from LMU Munich where he worked on quantum cryptography. His research currently focuses on magnetometry based on nitrogen-vacancy centers in diamond. Hailing from the great city of San Diego, Nicholas studies physics and astrophysics at the University of California, Berkeley. His interests range from nanoscale sensing with nitrogen-vacancy centers to quantum control.